Huawei Nova and Nova Plus were launched this year as two midrange smartphones that many have claimed were meant to be the 2016 Google Nexus handsets. Released in September 2016, the two have seen some significant amount of success in different markets across the globe. According to the latest reports, the lower-end Huawei Nova has now joined up the likes of Huawei Honor 8 and Huawei G9 Plus in the latest Android 7.0 Nougat beta program, with the latest build already available for select users. On the contrary, the Chinese OEM has not availed the same OS to the Plus model, but this doesn’t mean the handset won’t be updated to the latest Android OS alongside its midrange counterpart. The current Android 7.0 Nougat beta build is rolling out to users of the Huawei Nova based in China and it carries firmware version B321. Apparently, the update has only been pushed to 500 units of the Nova handset with model number B153. This move should also mean that the Huawei Nova Plus will be receiving the same update in the not-so-distant future, although there is no confirmed date about this expected rollout. Huawei has not had the best record in the past when it comes to rolling out major software updates, but the year 2016 has come with quite an immense set of changes on how things are done. 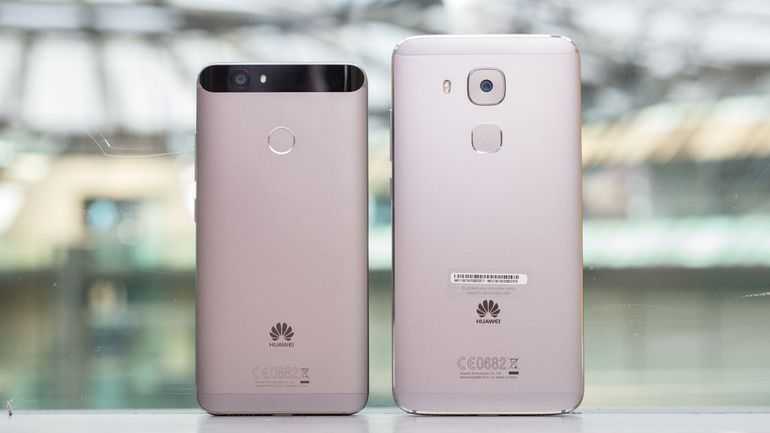 For starters, the Chinese OEM is one of the few companies that have already released a phone powered by Android 7.0 Nougat out of the box – the Huawei Mate 9. In addition, the company’s high-end Huawei P9 and Mate 8 have already been updated to the latest Nougat dessert while the Honor 8 has been promised the same update come February 2017. As a result of this hastened rollout process, it makes total sense when newer midrangers such as the Huawei Nova join the same Android 7.0 Nougat beta program that brought the update so fast to the Mate 8 and P9 a few weeks ago. But as noted earlier, there is no confirmed date as to when the Nova and Nova Plus handsets will be updated to the stable version of Android 7.0 Nougat. However, the fact that the beta testing process is already up and running for the Nova, it shouldn’t take too long before the final build is available for download, probably around the same time as the Honor 8 or immediately after.